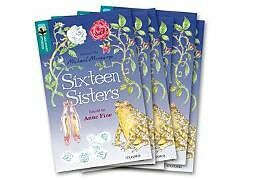 Twelve dancing princesses, Snow White, Rose Red, Drusilla and Isidora are the sixteen sisters of these enchanting folk tales. TreeTops Greatest Stories is a series of timeless classics for children aged 7-11. Its much-loved stories, beautiful artwork and careful levelling make it easy to select books that children will love.